Activation Lock is the feature in iOS 7 that allows you to use Find My iPhone to report your phone stolen, thus, bricking your phone for anyone who does not have your iCloud password. With the feature activated, your iPhone or iPad cannot be restored to factory settings by a thief hoping to resell it. After Apple introduced these features, Google immediately tried to clone it on Android. Their me too attempt doesn't quite cut it. Samsung, being who they are, also tried to roll their own clone for Activation Lock. Unfortunately, their solution relies on an off-the-shelf, LoJack system that is dependent on subscription fees and carrier approval. This is exactly the wrong way to go about it. 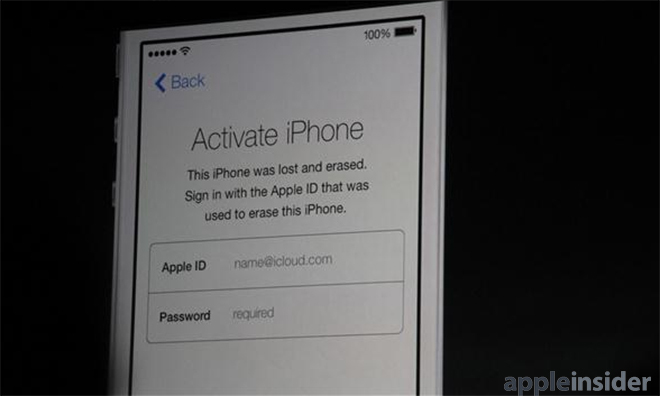 Apple's security features are free to all iOS users, and bypasses the carriers, completely. If you have a free iCloud account, you're already protected, whether you know it or not. If you are rocking something other than an iPhone or iPad, you still have a layer of security that comes free with that device. Nobody wants to steel it.